Samsung Pay, the tokenized mobile payment system introduced with the Samsung Galaxy S6, will first attempt to use NFC and then fall back to magnetic stripe emulation technology to offer widest compatibility with merchant terminals, MasterCard’s Matt Barr has told NFC World. “Samsung Pay is a payment service that will enable MasterCard credit, debit and prepaid cardholders to use the new Galaxy S6 to pay in-store for purchases,” says Barr, the payment network’s group head of US emerging payments. “There’s no in-app [purchasing], if you compare it back to the Apple Pay service,” he adds. “From our perspective, the significance of the announcement is it’s a further step on the journey towards convenient payments from smart devices, and we see digital payments being supported from any form of connected smart device in the future. “Part of how we’re enabling this is leveraging the power of tokenization, so getting to a point where a MasterCard account is provisioned onto a smart device and at no point is that card information given to the merchant as part of the transaction. “That journey started with Apple and Apple Pay, and Samsung has integrated to the same platform [MasterCard Digital Enablement Service (MDES)]. From our issuers’ perspective, they’ve integrated into this platform already so there’s already a connection there through in to Samsung for their cards to be provisioned, but issuers need to agree to be part of the service. Just because they’ve connected for Apple doesn’t mean they’re necessarily going to sign for Samsung; it’s their choice. “The other component of Samsung Pay is this capability that came with their LoopPay purchase. 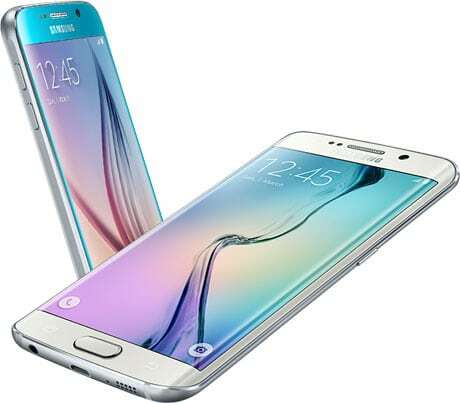 The Galaxy S6 will support NFC and it will prefer NFC for tap and pay transactions, and that customer experience is going to be similar to, as we understand it, the Apple Pay experience. Biometrics is part of the experience too. “If a terminal doesn’t have NFC contactless capability, then it will leverage what Samsung calls a Mobile Secure Transmission transaction — an MST transaction — which then emulates a swipe transaction through the swipe reader on the terminal, so that’s the alternative way to make a contactless transaction at a traditional mag stripe terminal. “From an acceptance perspective then, that’s a much broader world of terminals where the Samsung S6 and Samsung Pay will be able to be used. Apple Pay requires a contactless capability to be on the terminal for tap and pay. “Samsung will prefer tap and pay, so if a device detects an NFC field on the terminal, then it will default to that. If it doesn’t, then the Samsung device user can elect to pay using MST. From a merchant’s perspective, there’s nothing the merchant needs to do, which is a part of our strategy around how we try and be as backwards compatible as possible and to make it easy for these digital payments to be made. “There’s a big battle going on between these different device manufacturers. Critical for MasterCard in all of this is consumer choice; we’re not trying to pick winners but we’re very keen to enable very secure and convenient transactions from smart devices. This is a really positive step in that direction from our perspective and we expect a lot more activity over the months and years ahead in this space,” he added. “We didn’t build this for Apple, we built this to enable secure digital payments, and so Samsung coming onboard is a fantastic compliment to the work we’ve been doing, and we’re expecting many others to come on board. “We’re at a point of inflection in the industry. The adoption and scaling of mobile payments over the months and years ahead is going to be pretty exciting I think. It’s a really important announcement and another step in that journey. I think Samsung builds great experiences; I would expect this to be successful, like Apple’s been successful. Well like apple customers usually say about apple i will say about Samsung. Samung sat back and waited and did it RIGHT!!!!!! Even this site is not fanboy-free.. Many people need to realize Softcard and Google Wallet predated Apple Pay. So, Apple is taking an 0.15% transaction fee from the issuing banks; what is Samsung looking for? Or will they be smart and simply use their “Pay” system to sell many more phones? Samsung isn’t looking to make money off this, but carriers sure are. Verizon is the only hold out here in the USA. Where they want a cut of NFC payments. Apparently on MST (magnetic stripe) payments, no carrier or store transaction approval is required. It’s been around since late 60’s early 70’s and plastic credit cards are yet to replace good old Cash completely either. Nor will NFC replace credit cards completely for many years if not decades!!! 😀 ……and it’s the stores that have to pay that fee to Apple and cell carriers.